The Hanoitimes� – Vietnam is streamlining policies on the public-private partnerships (PPP) investment model in the transport sector to make the regulations attractive to domestic and foreign investors. Deputy Transport Minister Nguyen Nhat said during a meeting on April 9 with representatives from domestic and foreign firms such as Greenland Holding Group, Vision Transportation Group and VIPD Group, who are exploring investment opportunities in Vietnam’s transport infrastructure. The Ministry of Transport estimated that the total capital for developing the transport infrastructure in Vietnam for 2018-2023 is estimated at roughly VND1,015 trillion (US$48 billion). Accordingly, some VND651 trillion ($28.67 billion) will be needed for road transport infrastructure development and some VND119 trillion ($5.24 billion) will be for railway transport. The amount for aviation and marine transports will be VND101 trillion ($4.44 billion) each. The expected that more than VND300 trillion ($13.21 billion) of the total will come from the private sector, especially from foreign funds. 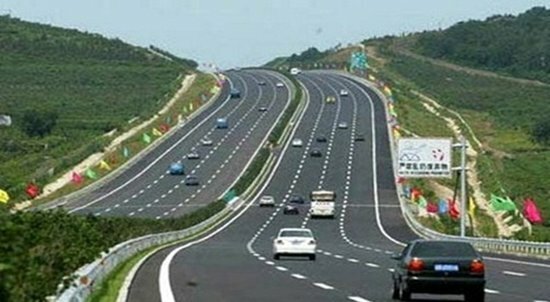 Transport Minister Nguyen Van The said that the investment for infrastructure development is among top priorities in Vietnam as the country has planned to continuously finalize the building of its expressway system. Besides upgrading the port system, Vietnam will also study to construct a new high-speed railway system from the North to the South. At the same time, The noted, the country will also invest to build the Long Thanh International Airport to make it become among large airport in the region. Transport infrastructure investment will be also promoted in urban areas including Beltways No 2 and No 3 in Hanoi and Beltway No 2 and No 3 in Ho Chi Minh City besides speeding up the construction of urban railways in Hanoi and Ho Chi Minh City. To learn experiences from other countries in the field, the Ministry of Transport and the World Bank will likely jointly organize a workshop on the PPP investment model this month. According to Minister The, Vietnam will open an international bidding for eight sections of the eastern spur of the North-South Expressway project in 2019. Thus, the April workshop is essential for Vietnam. The eastern spur of the North-South Expressway project, which is estimated to cost VND230 trillion ($10.5 billion) is considered an important project for Vietnam’s socio-economic development. It will run through 20 cities and provinces, affecting 45 per cent of the country’s population, 65 per cent of its ports, and 67 per cent of its economic zones. The project has been attracting the attention of many foreign investors, including South Korea-based Posco E&C, Lotte E&C, and many other international groups from Japan and the United States. According to The, Vietnam is calling for more transport investment in the PPP model and the National Assembly is expected to pass a law this year which will serve as a legal basis for PPP investors. At present, PPP investment is regulated by Decree No.15/2015/ND-CP and Decree No.30/2015/ND-CP. Despite improvements, However, a lack of guaranteed policies, such as the risk-sharing mechanism, exchange rates and revenue guarantees, which are considered the topmost concerns among foreign investors, remain absent from the decrees.